Jiang Feng has been the President of the China Household Electrical Appliances Association (CHEAA) since January 2010. She has been working at the CHEAA since 1992: her first post was as Deputy Secretary General before becoming Vice-President and Secretary General of CHEAA in 1999. 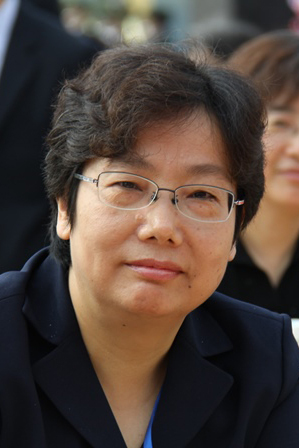 She is currently responsible for a variety of projects and initiatives including GEF projects on promoting energy efficient refrigerators and air conditioners in China, and compiling the Proposal of the China Home Appliance Industry Development Plan. Previously positions include working at the Household Electrical Appliances Bureau within the Ministry of Light Industry of China. Overall, Mrs Jiang has 30 years of experience within the home appliances sector with particular expertise in the development of the Chinese home appliances sector.